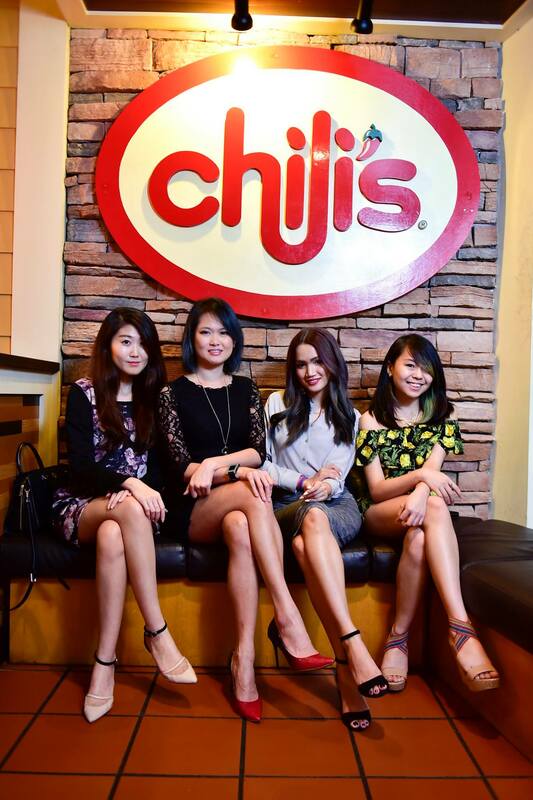 Me and the ladies of MHB paid a visit to Chili's Citta Mall, for the launch of their new dishes. 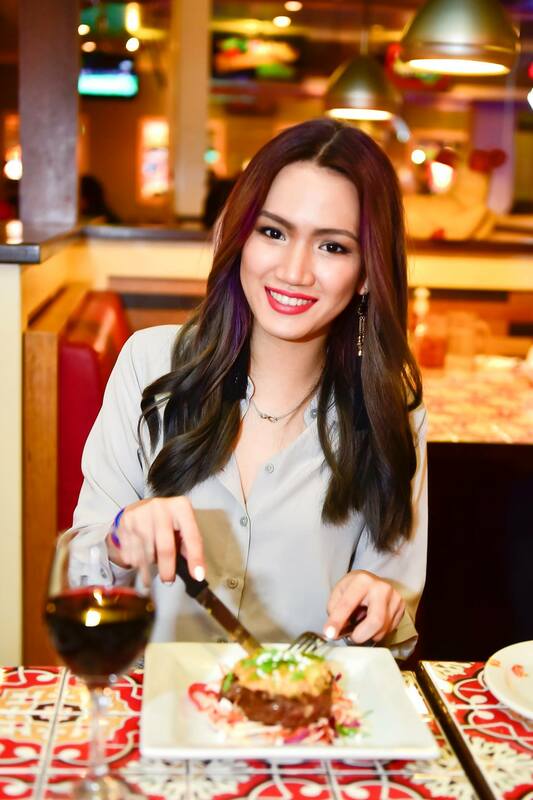 I was definitely stoked as I've not seen some of the girls for a while now and what better way to catch up then to have good food on the table and great company? 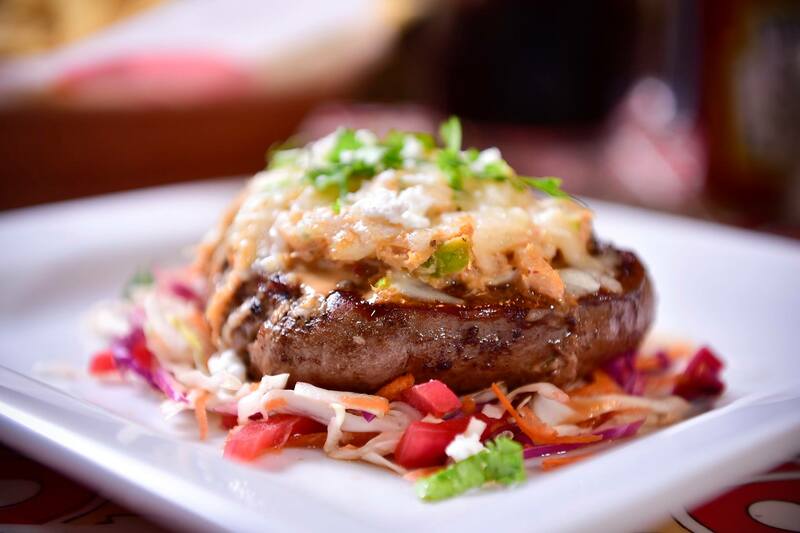 A little fact about Chili's, Chili’s has been around in the USA starting as a hamburger joint in Dallas, Texas nearly 40 years ago, and since then has grown to nearly 1,600 locations in 31 countries around the world! 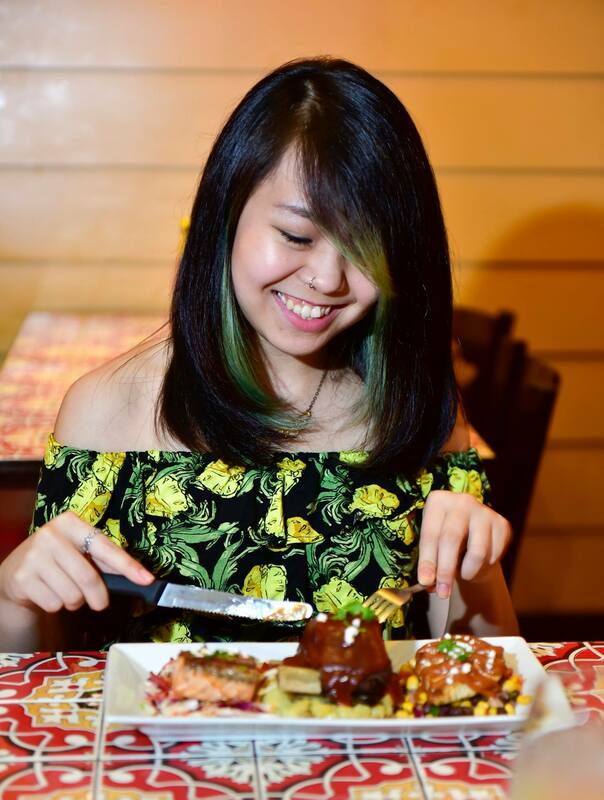 If you would know, the Chili’s menu has grown over the years to include a distinct mix of Southwestern-inspired, classic American and international flavours and is a place where you can enjoy juicy burgers, ice-cold beer and their speciality and my favourite, margaritas! 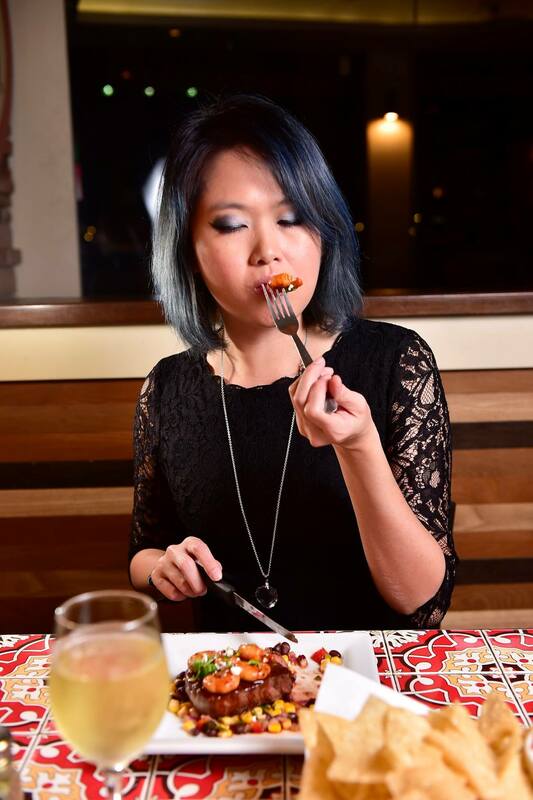 Chili’s currently has a special seasonal menu called the Chili’s Chef Cuts to give a more premium choice for patrons for the year end, because that's when celebrations happens! 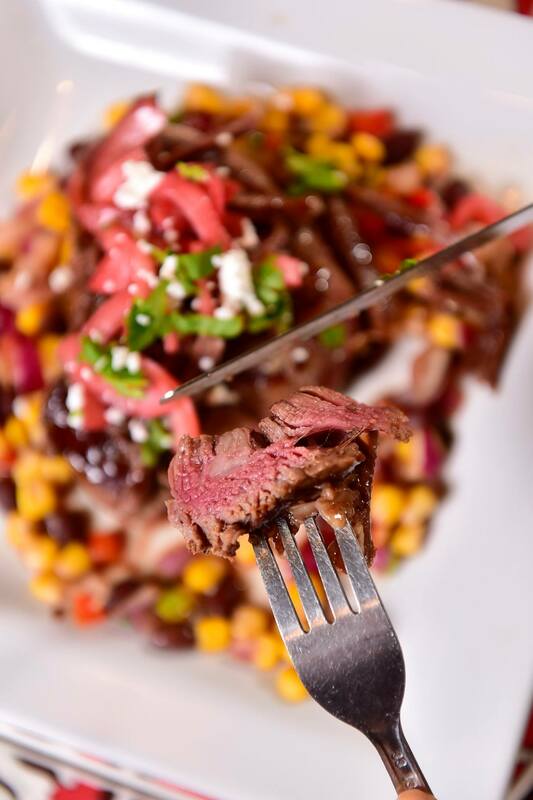 This limited time menu also caters for those who appreciate steaks, and we were invited to try their new offerings! We had my all-time favourite appetizer before we tried the new menu. This used to be called the Triple Play but now it is known as the Tripple Dipper where you can combine your three (3) favourite appetizers. 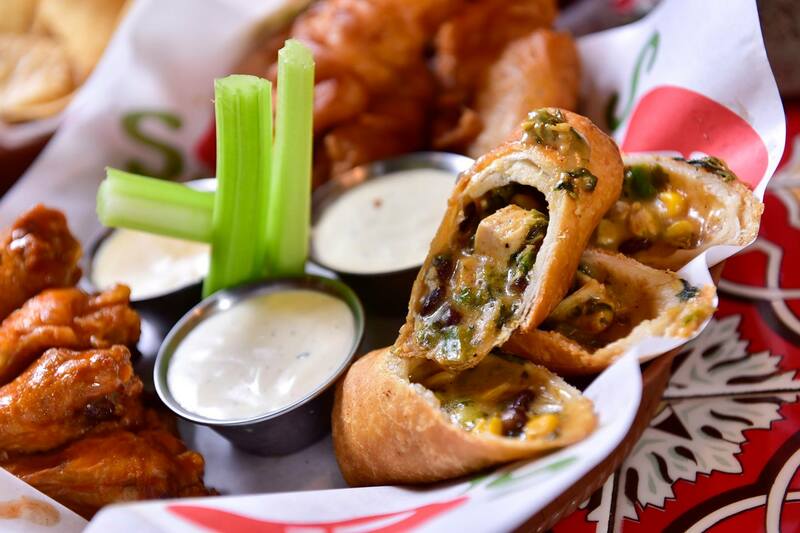 Choose from Chicken Crispers, Wings Over Buffalo, southwestern Eggrolls, Craft Burger Bites or Spiced Breaded Onion Rings. This dish is served with fresh celery sticks and three (3) lovely dipping sauces. 4 oz. 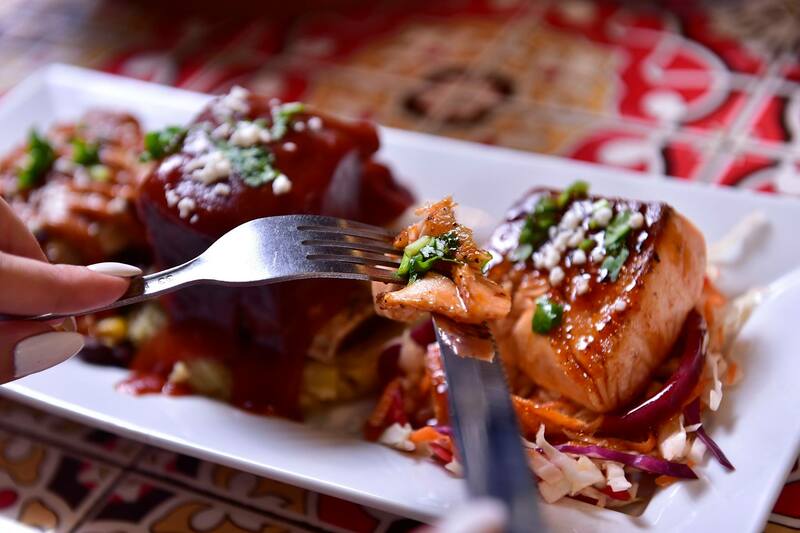 salmon on slaw drizzled with honey-chipotle sauce, 8 oz. 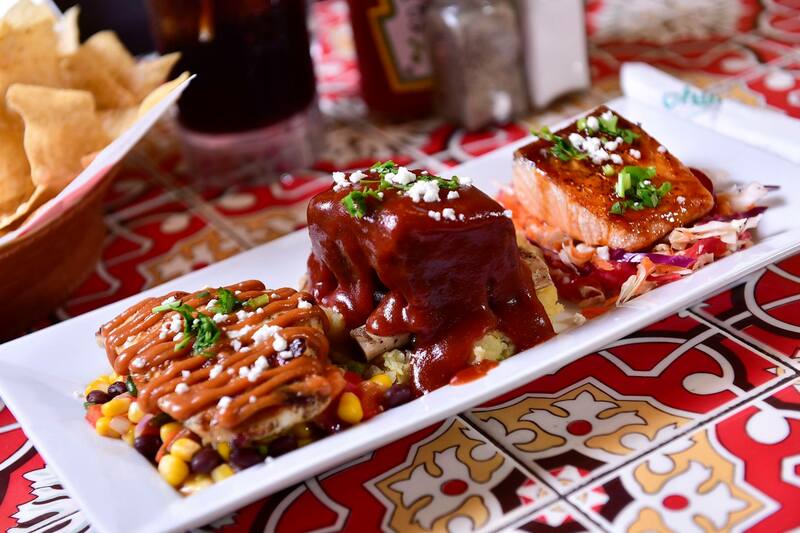 beef ribs on mashed potatoes drizzled with Chili’s classic BBQ sauce, and grilled 4 oz. chicken breast on corn salsa drizzled with roasted garlic BBQ sauce, all sprinkled with crumbled feta cheese and chopped fresh cilantro. Ashley enjoying it very much! Now we have the 8 oz. 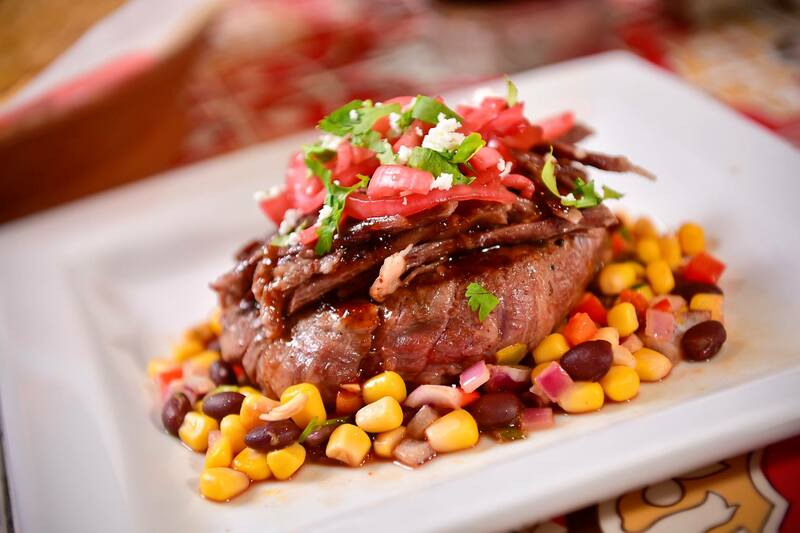 steak fillet resting on a bed of corn salsa, topped with beef ribs meat and pickled onions, sprinkled with crumbled feta cheese and chopped fresh cilantro. Served with the new skillet mashed potatoes. I asked for medium well and it was done to perfection! Soft and juicy and also tender, it totally had my appetite going. Here we have the 8 oz. 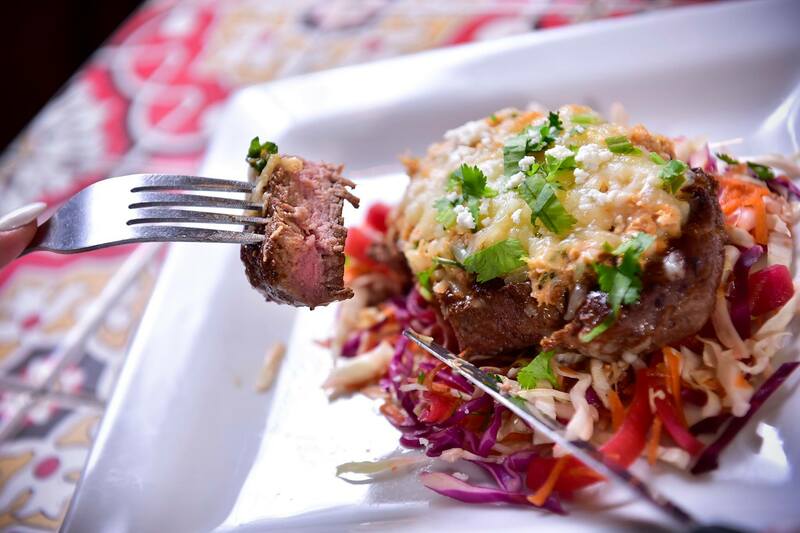 fillet resting on bed of slaw, covered with spicy crab meat and melted Monterey Jack cheese, sprinkled with crumbled feta cheese and chopped fresh cilantro. Served with the new skillet macaroni and cheese. LOVEDDD how they gave mac and cheese as a side dish! 8 oz. 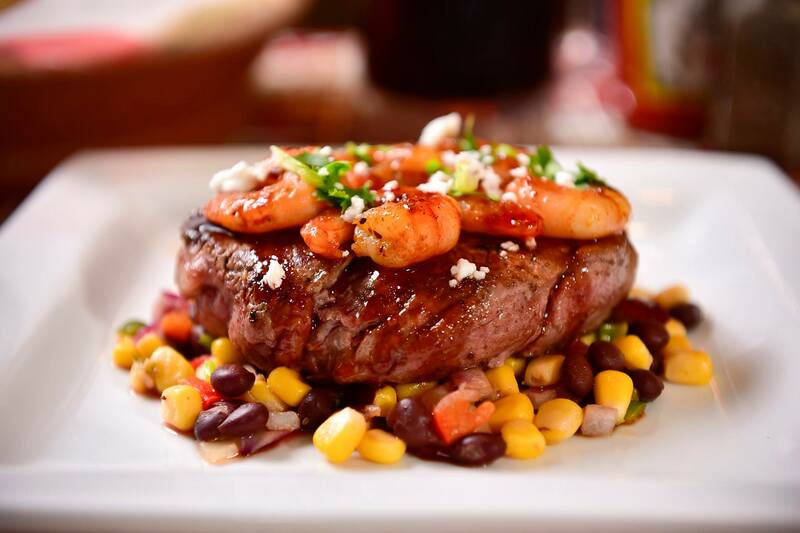 fillet resting on bed of corn salsa, topped with glazed prawns, sprinkled with crumbled feta cheese and chopped fresh cilantro. 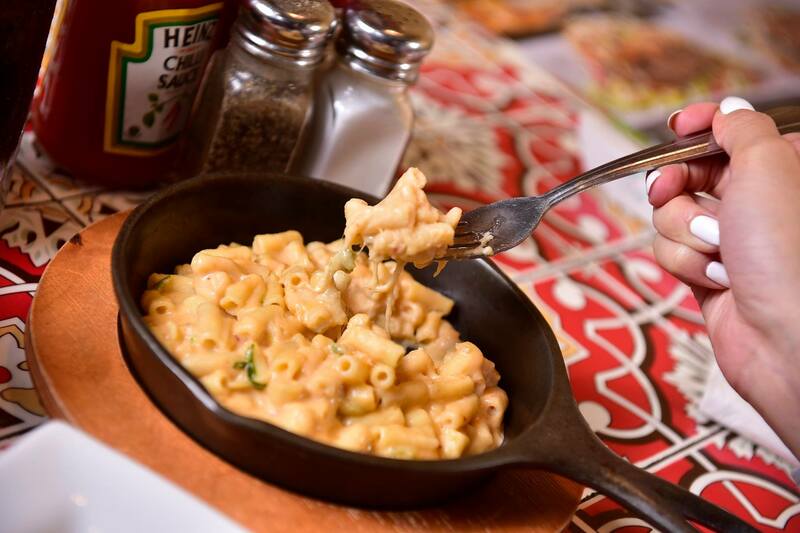 Served with the new skillet macaroni and cheese. Kelly loving her cut very much. 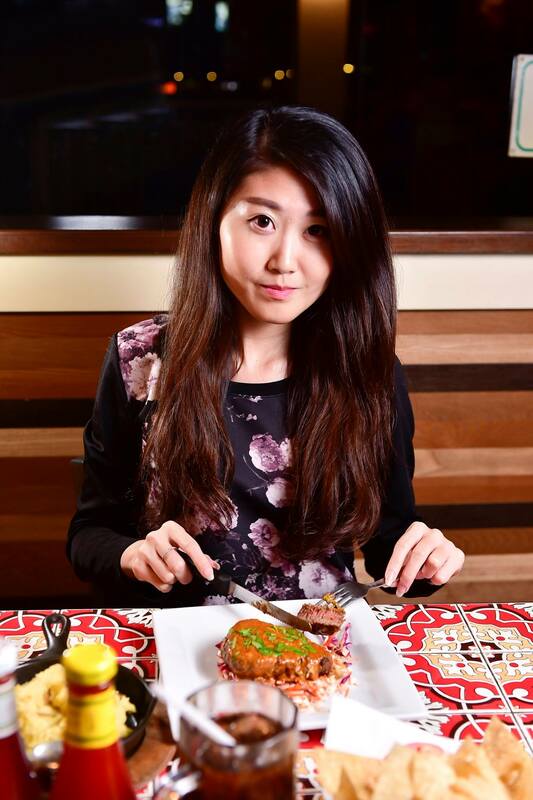 Never thought prawns and steak would've paired so well till I tried this! Now we have the 8 oz. 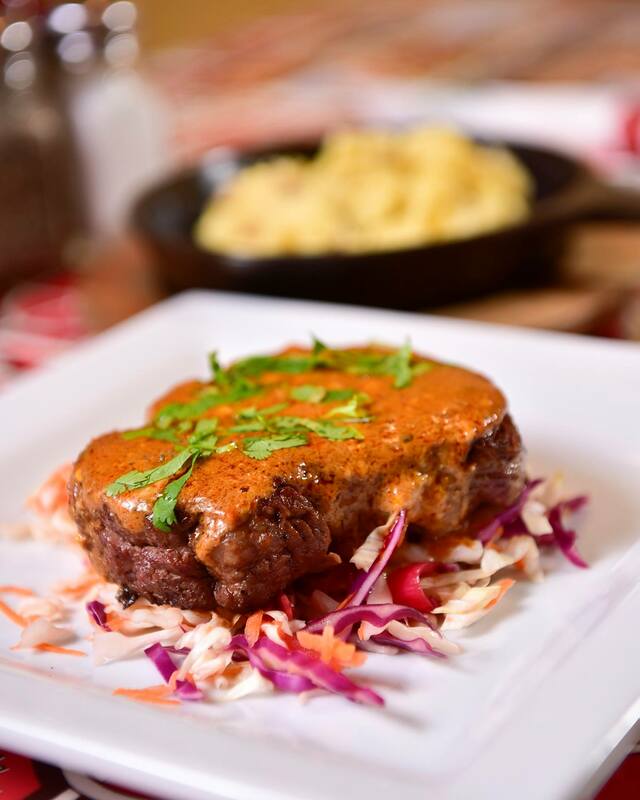 fillet resting on bed of coleslaw, covered with melted chipotle bleu cheese, sprinkled with chopped fresh cilantro. Served with the new skillet mashed potatoes. 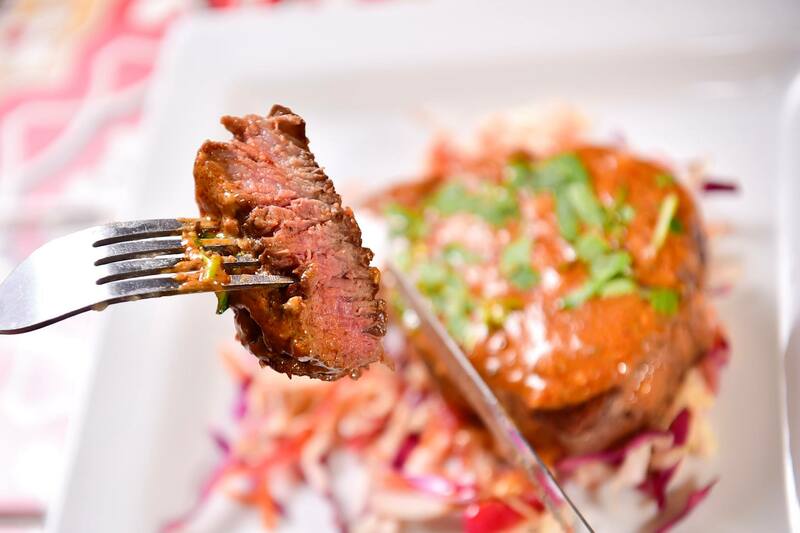 With a strong and flavourful sauce, this dish definitely pops! Kate enjoying her choice very much. 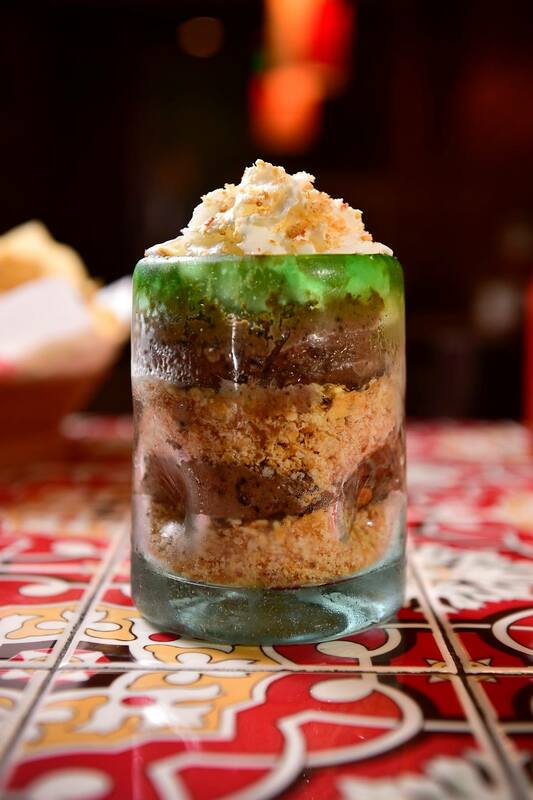 Layers of chocolate chipotle cheesecake and cracker crumbs topped with a dollop of whipped cream. 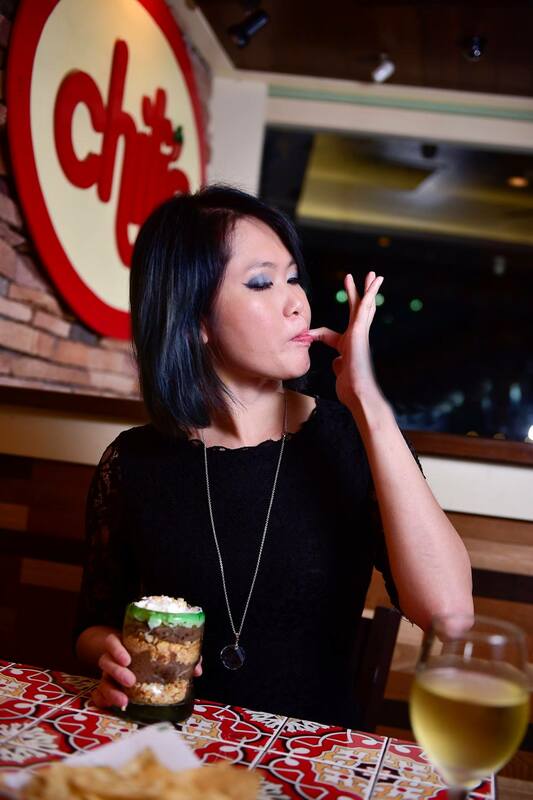 Based on Kelly's reaction you'd know that we girls really did enjoy this dessert! There was layer of crunchiness, soft melting sensations and what not that just makes it the perfect ending for our meal. 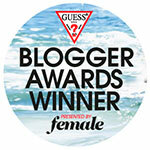 I finished mine definitely and was fishing for more haha. Me disturbing (and also trying to feed his growing belly :p) my sometimes "stick in the mud" manager Tim Chew with the dessert. He can be really stubborn at times but I know he has our best interests at heart. Look at that tempted face! 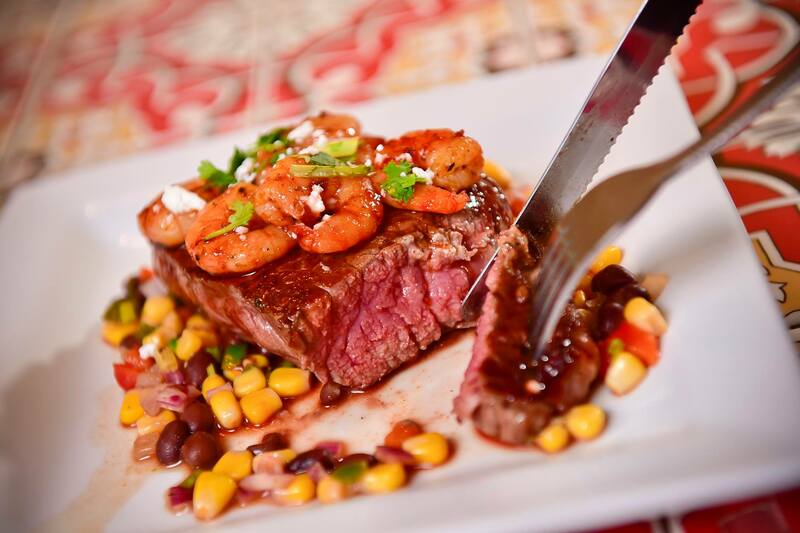 The Chili’s Chef Cuts special menu is available from now until 17 January 2016 only so do head over to try it now! 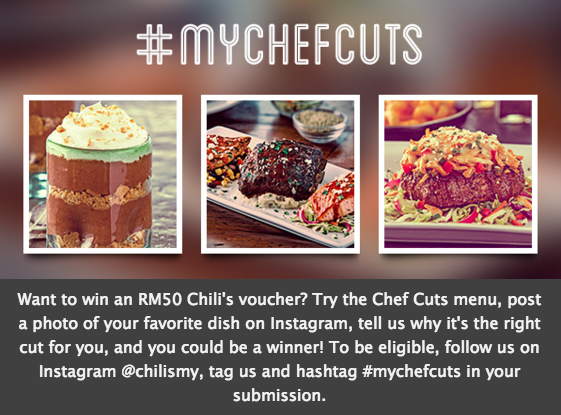 There’s also an Instagram contest which could win you some cash vouchers at Chili’s!